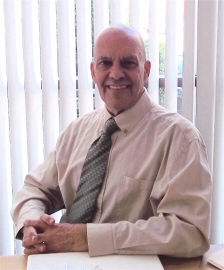 Dr. Marcel Hernandez, ND, a practicing naturopathic physician since 1991, has a unique perspective on prostate cancer. In 2009, he was diagnosed with a high-grade prostate tumor with a Gleason score of eight. During the ensuing months of speaking with some of the top medical professionals in the field and accumulating a massive research database, he developed an understanding of the process through which he arrived at a treatment decision that has left him cancer free. He is now accumulating his data in a book that can help other men with prostate cancer arrive at patient-specific treatment decisions that are the most specifically effective with the fewest side effects. Arriving at a decision on the best therapeutic approach involves achieving a balance between cutting edge data and informed intuition. Dr. Hernandez is available for telephone consultations for all conditions affecting the prostate. Please see the Contact Page for information and to schedule an appointment. A free Monthly newsletter focusing on natural health topics. NOTE: As medical professionals, we prize confidentiality. Your information is strictly private. It will never be given to another party. The only things you will receive from us are monthly newsletters and a rare announcement of a breakthrough on some level of prostate care. NEW! VISIT DRS. MARCEL & CONNIE HERNANDEZ'S HEALTHY LIFE BLOG!